When I was growing up, Friday was my most anticipated day of the week. Once school was over on that day, it meant 3 days of freedom. One of the things that became a ritual during those Fridays was a visit to the local video store. The world has changed so much since the video store heyday of the 90s, that it might be difficult to remember the days when video stores were the gateway to new movies we hadn’t seen, or never knew existed. The video store was the best way to go into the world of cinema as a whole. There were many different video stores in my area. They were mostly mom and pop video stores, but most grocery stores in the area had video sections as well. 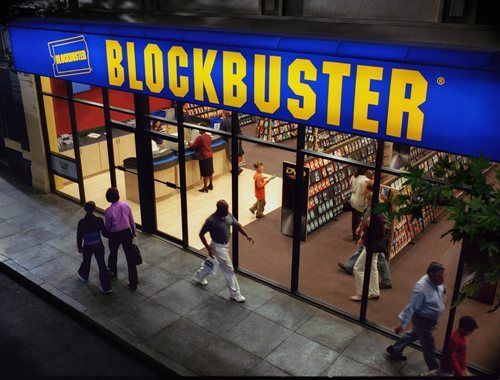 Blockbuster had a few video stores in the area, but my family always rented from other video stores, only using Blockbuster as a last resort. The thing that put the mom and pop stores over traditional stores like Blockbuster was the wide selection the mom and pop stores had over the major chain video stores. Most of the time, I would walk into my local video store without having an exact title in mind. I just browsed through their selection. When you got away from the more mainstream Blockbuster video selections, you would find some unique stuff, particularly in the horror section. 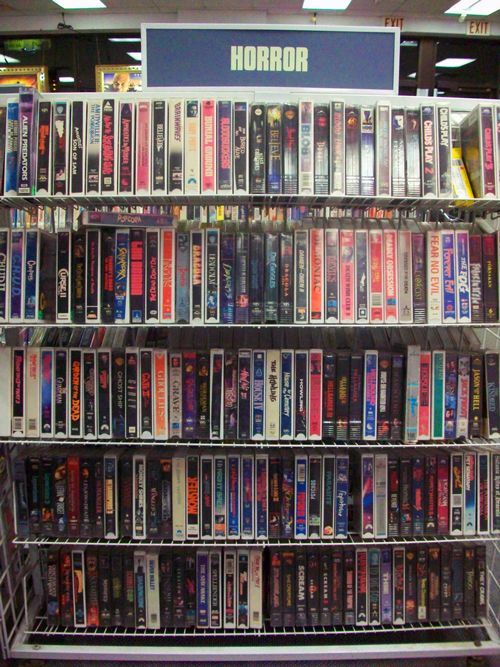 My favorite video store growing up had a massive horror section in the back of the store. Back then, they really went out on the horror movie covers. Most of the times, the movies never lived up to the covers, but the covers were good enough to entice us into renting them. These movies weren’t mainstream, and if they got a theatrical release, they didn’t last long or didn’t play near where I lived to where I’d heard of them. Sure enough, most of them were crap, but among all the crap, you’d end up finding a personal favorite that you wouldn’t have known about without the video store. Today we have access to more movies than ever before, but nothing replicates the experience of the movies being laid out before you. The feeling of browsing through the various sections of the store and looking through a large amount of movies you haven’t seen is exhilarating. When I log onto Netflix today, there is nothing that replicates the experience of the video store. Netflix’s selection is not that full of depth, and it very much skews more toward new releases. Try looking for a random 80s movie on their streaming site and odds are you won’t be able to find it on there. 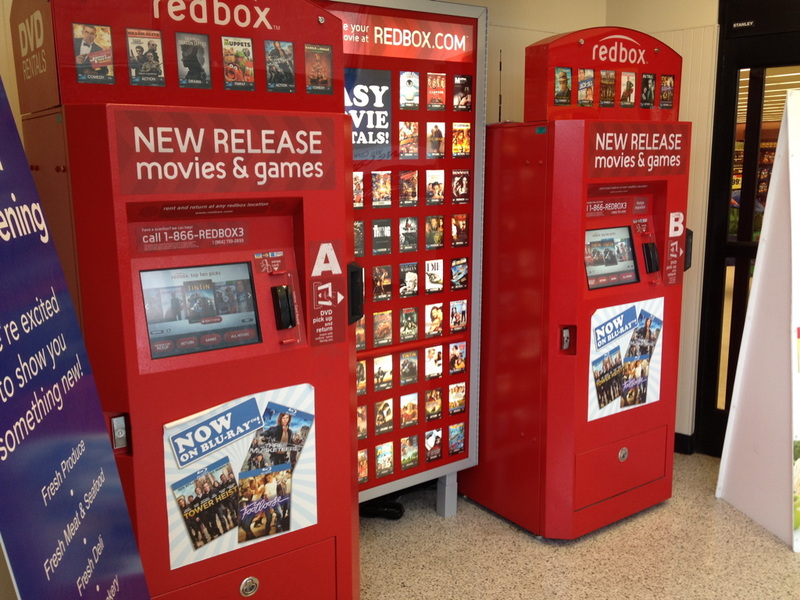 When Redbox’s started appearing, it became the death knell for video stores. It is obviously a cost-saving strategy for stores. The grocery stores around the area closed their video sections down and replaced them with Redbox’s. The problem is that these machines had a very small selection of movies, which makes sense since they are glorified vending machines. I guess it makes sense for grocery stores since people are in more of a hurry to leave the store than they would at a video store, but it was disheartening all the same. Over the years, it was hard not to see the signs that things were going downhill. Video stores that weren’t closed by the ascendance of Blockbuster, started going out of business. Even Blockbuster itself started showing signs of desperation, by getting rid of late fees, and adding things that weren’t even videos like posters and other collectibles for a discounted price. 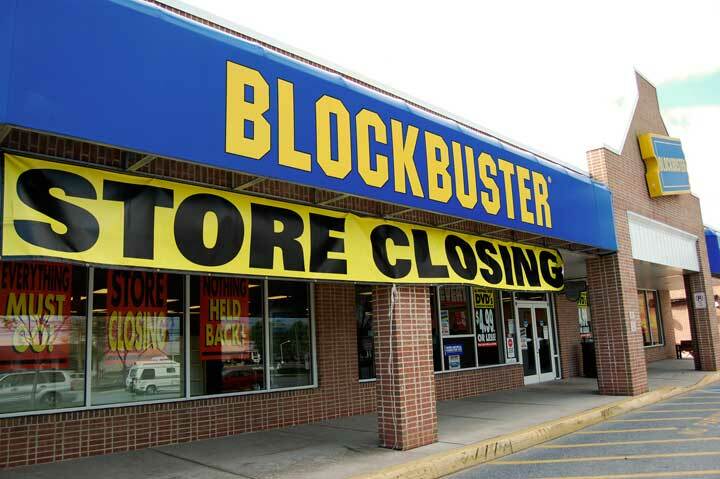 Like Blockbuster did to mom and pop stores in the past, the combined forces of Redbox and Netflix destroyed Blockbuster’s business, eventually leading to their closing in 2014. The only major chain that I am aware of that still exists is Family Video, but who knows how long they will last in the current climate. With the loss of video stores, the entertainment experience has been changed. With Netflix, we have a plethora of viewing options at our fingertips. But in the digital marketplace, how long can things stay in one place? Every month Netflix loses the rights to host a number of their movies, and they remove them from their service. With video stores, you had tangible physical media that you knew would be there, but with streaming services, things could be there today and gone tomorrow. As we go into a more digital future, I find myself sticking by a physical medium that I alone have control over. That was a blast. Growing up in the UK we also had mom and dad video stores, mini-store and Blockbuster rentals. Friday night was something of a ritual in choosing the selection for the weekend. A lot of stores offered weekend discount rentals if you took out anything from 3 to 5 films. Like you, one of our favourite sections was the horror section, and it was always a bit hit and miss what you ended up watching. Mostly we were influenced by magazine reviews in Fangoria or Starburst and such, but often we’d come across an unknown release and were totally sold just by the cover or title. Our local video store also doubled as a photocopy shop and sold posters and postcards. Happy days!